Whether you've danced before, or think you have two left feet, you've come to the right place. The Fred Astaire Dance Studio of Belmont is the premier dance studio in the Boston region. Voted top studio by readers of the Belmont Citizen-Herald! Brookline, Somerville, Wellesley, Watertown and Waltham areas. and 10.30am to 6.00pm Saturday. 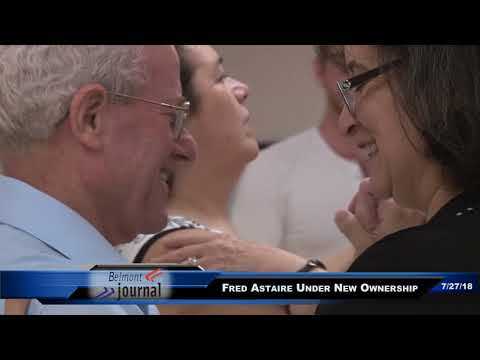 At the Fred Astaire Dance Studios we have perfected the art of teaching ballroom dance. Our unique approach to dance instruction is called the Conceptual Method of Teaching. Utilizing private dance lessons, group lessons and practice sessions, we’re able to quickly and effectively turn you into a self-assured, skilled ballroom dancer. Our professional instructors possess the passion to ignite your passion for dance and the credentials to teach to the highest levels of dance achievement. At Fred Astaire Dance Studio, you will quickly realize why we are steps above the rest. Come and experience the magic of social dancing with us. Our proven methods of teaching cover every type of dance. Mastering the basic skills of social dance will enable you to become proficient in any style of dance. Beginner or advanced, competitive or just for fun, we are the experts who can help you realize the joys of dance! Give us a call and try our introductory dance lessons. You won’t be disappointed! Conveniently Located At 448 Common St. In Cushing Square, Belmont, The Studio Is Easily Accessible From The Watertown, Lexington, Arlington, Cambridge, Newton, Watertown, And Waltham Areas. From Boston Via Mt Auburn St. Turn right onto Common Street before that. Cross Watertown Sq. to Rt. 16E/Mt. Auburn St.